Our Amish Gateway Bench offers an excellent design whether you choose to display it in your entryway or as an extra seating option in your family room. 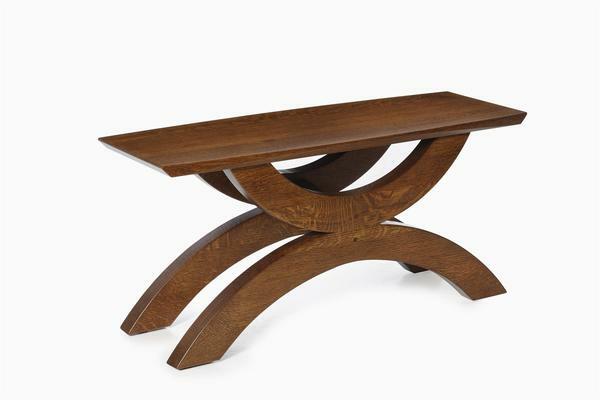 We love the clean lines that this piece boasts, all hand carved by expert Amish woodworkers. You can be proud to enjoy a piece that was constructed by craftsmen who are dedicated to creating exceptional pieces. Enjoy your bench for many years to come as it continues to increase in sentimental value. The quality of its excellent craftsmanship will remain intact for generations to come. Customize your bench with our various wood and stain options and create the gateway to a beautiful piece of furniture! Please feel free to give us a call with any and all questions regarding our handmade furniture: 866-272-6773. We'd love to hear from you and be of assistance.